There's nothing like a magazine partnering with retailers for a big party to lure shoppers out in droves, as VOGUE proved with Fashion's Night Out. 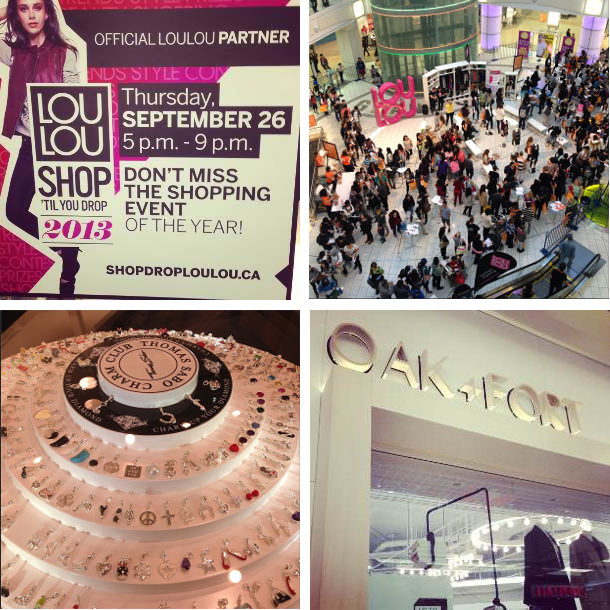 But while FNO fizzled, the third annual Metropolis at Metrotown x LOULOU Magazine is going stronger than ever. Last night, more than eighty retailers offered one-night-only discounts to hundreds of fashion-hungry spenders looking for deals. Complimentary beauty treatments, a candy bar, gift bags, and the chance to win gift cards only sweetened the deal. This was my first time attending Shop 'Til You Drop. While many of the participating retailers skewed towards high schoolers, there was plenty of shopping for more sophisticated tastes far from the tweenie crowds. 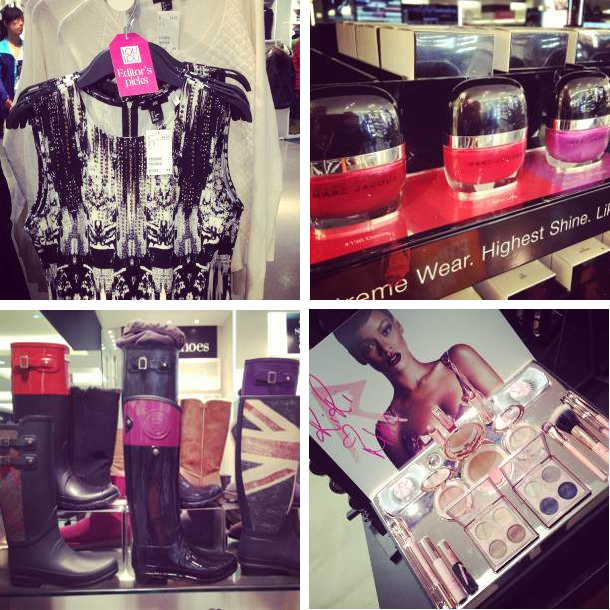 I seized the opportunity to check out Marc Jacobs nail polishes at Sephora and the new RiRi Loves MAC limited edition. My meandering led me to the minimalist cool girl clothes at OAK + FORT and some choice editor's picks at H&M. I also scoped out charms at Thomas Sabo and distinctive Hunter boots at Town Shoes. Temptations abounded, but with the memory of the camera lens I'd splurged on earlier this week holding my purse strings in check, I refrained—that is, until I saw a green-and-blue tartan blazer from JACOB. With a 25% discount and a $25 gift card burning a hole in my pocket, it was a done deal. Thanks, Metropolis at Metrotown and LOULOU, for a fun night! I was pleasantly surprised at how much I enjoyed myself.